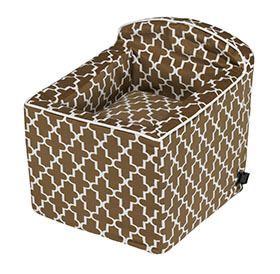 The removable cushion, generously filled with high loft fiber adds extra comfort while a firm foam base provides support in this top of the line booster seat. Luxurious, durable microvelvet fabrics from Bowsers repels pet hair, dirt and moisture. Fits both front and back seats and can be used with seat belts. Also, bring the whole seat into your home, it makes a great portable bed ! 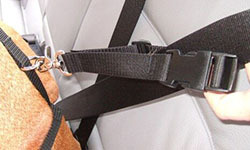 Bowsers new patented LATCH (snap hook to seat anchor) system ensures secure, safe installation. Note: LATCH required by law in all models after 2003. Cleaning: Unzip cover and remove foam inner. Rezip and machine wash and dry cover on cool setting.